The FAA Reauthorization Act of 2018 sometimes asks more questions than it answers. For example, what was behind Section 536. 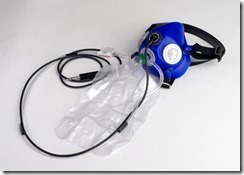 Oxygen Mask Design Study? Diving into the Internet, this week’s research suggests that Section 536 was inspired by Southwest Flight 1380, where an uncontained engine failure led to the decompression of the 737’s primary people tube. Given the section’s focus on “correct passenger usage,” it seems safe to assume that this photo was an inspiration. 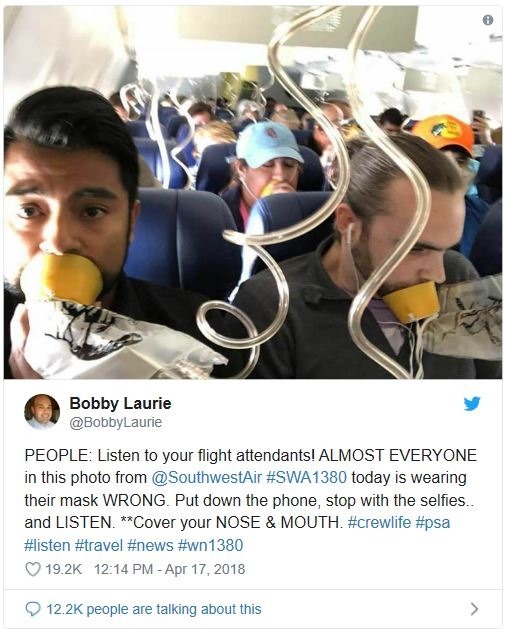 Given the Dixie-cup design of the ubiquitous commercial airline oxygen mask, which most of us have only seen in the hands of a flight attendant during the takeoff safety briefing that we’ve heard so often that we no longer pay attention to, it is easy to imagine how a real emergency could lead us to make it up in a panic. Sure, there’s a how-to pictograph on the rebreather bag, but who remembers that when panic is front of mind? Here’s my question: what took so long? Too few actual decompression incidents, not enough Twitter photos during these events, or both? I’m no human factors expert, but it seems logical to me that if you present a passenger, panicked or not, with a more anatomically shaped mask that makes clear where your nose and chin go, people would have at least a 50-percent chance of getting it right. And if they didn’t, feeling the breeze on their necks might give them a clue. 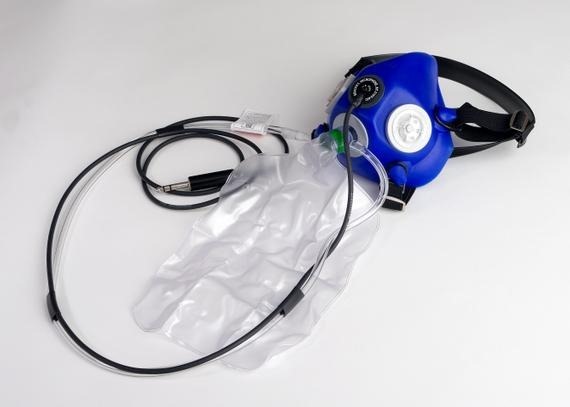 The FAA offers some interesting insight in Oxygen Equipment: Use in General Aviation Operations. The GA mask looks like the airlines’ drop-down Dixie cup, but it works differently. The Dixie cup “uses a series of one-way ports that allow a mixture of 100 percent oxygen and cabin air into the mask,” the FAA booklet says. “Exhalation is vented to the atmosphere; as a result, the bag does not inflate,“ (and I couldn’t find a reason why it’s there, either). This entry was posted on Monday, January 14th, 2019 at 8:00 am	and is filed under Airlines, Education, FAA. You can follow any responses to this entry through the RSS 2.0 feed. You can leave a response, or trackback from your own site. Airliners typically use oxygen generators that work by chemical reaction (essentially a combination of chemicals that heats and produces oxygen). 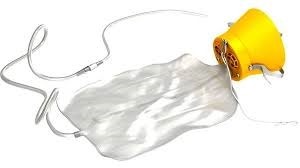 The bags attached to those masks are theoretically used to store excess oxygen that is produced by the reaction because there is no way to slow down the production of the gas. That said, not sure how effective they are at that in real life as I’ve never seen one in action.. knock on wood.